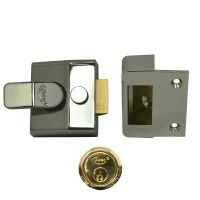 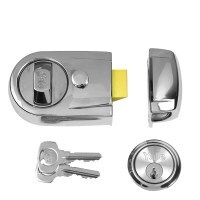 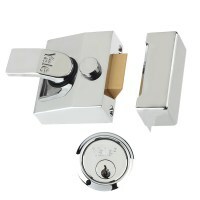 Rim deadlocking cylinder nightlatches use a snib (button on the case) to deadlock the latch. 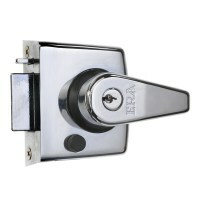 When the door is closed the latch engages in the keep, the latch can be deadlocked by using the snib or a turn of the key. 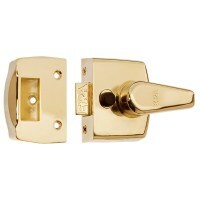 The latch bolt can also be held in the open position with the use of the snib. 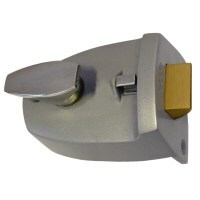 Available from Asec, ERA, Legge, Union and Yale in many different styles, colours and sizes.